Your garage door is the largest moving appliance in your home and it also added value with your home exterior. Garage Doors are also something most of us just take for granted, until it stops working. 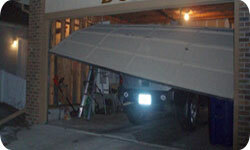 We are the leading garage door company that people calls whenever there is an emergency regarding their garage doors. No job is too big or small for Garage Doors and all jobs. We work with prominent companies like Wayne-Dalton, Amarr, Clopay and CHI Overhead. We have been around for over a decade providing %100 satisfaction guarantee and value our customer relations by having the lowest prices out of our competitors. So don’t waste your time searching for another companies, give us a call and we’ll come to give you a free estimate for a new garage door!